A good song is a good song, and Ed Sheeran knows that, because he has made lots of them. However the 2 gentlemen Martin Harrington and Thomas Leonard who wrote the song for 2010 A Factor winner Matt Cardle claimed that the song Photograph was “not-for-note copying” of their tune Amazing. Ed Sheeran settled to the tune of $20 million. The Ed Sheeran version of the song has been viewed on Youtube more than 300 million times, and counting and sold well over 600 000 units in the Uk reaching platinum status. The song further reached double platinum in Australia and Canada, and platinum in New Zealand and Italy. Ed Sheeran has since credited the 2 writers to the song. The second song is Shape of You, which is very similar to TLC’s No Scrubs, viewed on Youtube more than a billion times and sold over 200k units in the first week of its release. And yet again the No Scrubs writers have been credited to Mr Sheeran’s Shape of You. 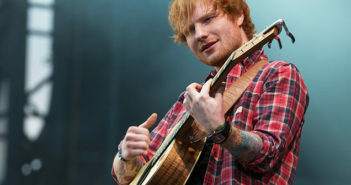 In 2016, heirs of the co-songwriter behind Marvin Gaye​’s Let’s Get it On accused Sheeran of copying elements of the classic in his Grammy-winning track Thinking Out Loud. A federal judge dismissed the case in February. Previous ArticleWhat salary should I be earning to buy which car?